I’m no Martha Stewart, but there’s something really fun about decorating a kid’s room. I still remember the first bedspread I picked out for my own room. I remember decorating my first college dorm room, and I remember ordering my first baby quilt when I was pregnant with Aubrey. Decorating seals memories into paper and fabric, pictures and paint. It turns a house into a home, and a room into a haven. And thankfully, it doesn’t have to break the budget! Below are five easy ideas I’ve enjoyed in decorating my kids’ rooms, all of them budget-friendly! I saw this Pottery Barn original idea at a friend’s baby shower, and LOVED it! The lanterns are charming, whimsical, and a celebration of reading! You can use baby books if you’re decorating a nursery, or brighter Dr. Seuss-style books for a kid’s room. I also used several free Chick-fila kids’ meal books to cut back on cost. I got the lanterns at Michaels–6 for $14.99 (use the weekly 40% off coupon, and they’ll be under $10). For some reason, I just love seeing my kids’ names on their bedroom walls. (Maybe it’s because we took so ridiculously long to choose them!) You can design your own adorable letters, or you can pay my talented friend Jaclyn Anderson to do it for you! Another budget-friendly perk is that the letters can change with the room. 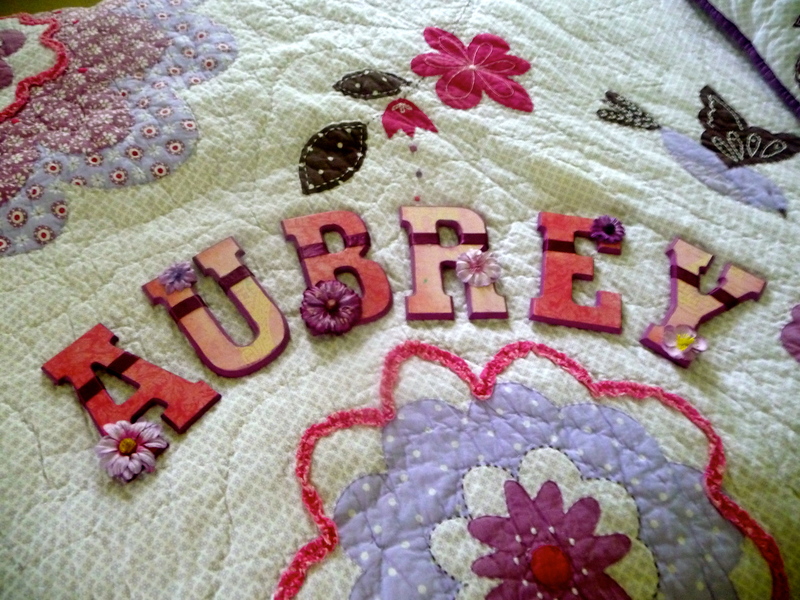 When Aubrey transitioned into a bed, we got a new quilt and I scraped off her letters then repainted and redecorated them. 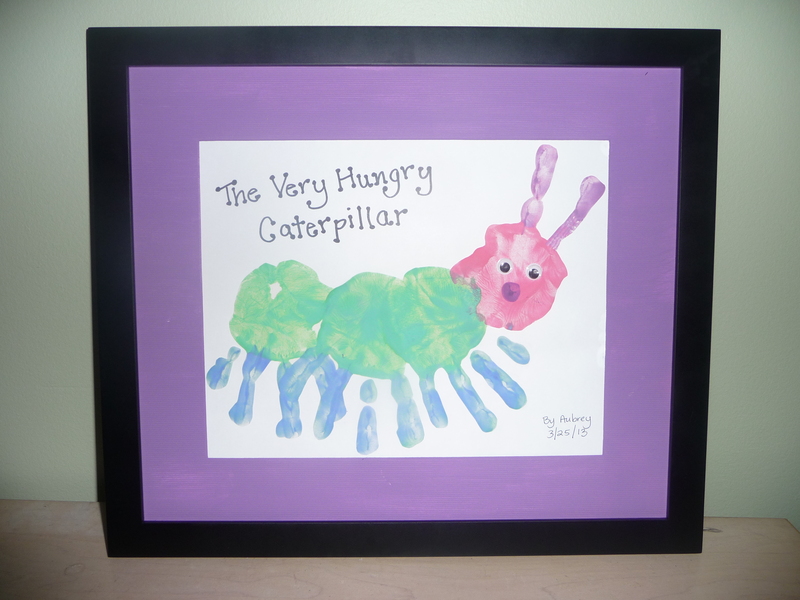 Decorating with kids’ artwork is cheap, easy, and an extra-special compliment to the artist! 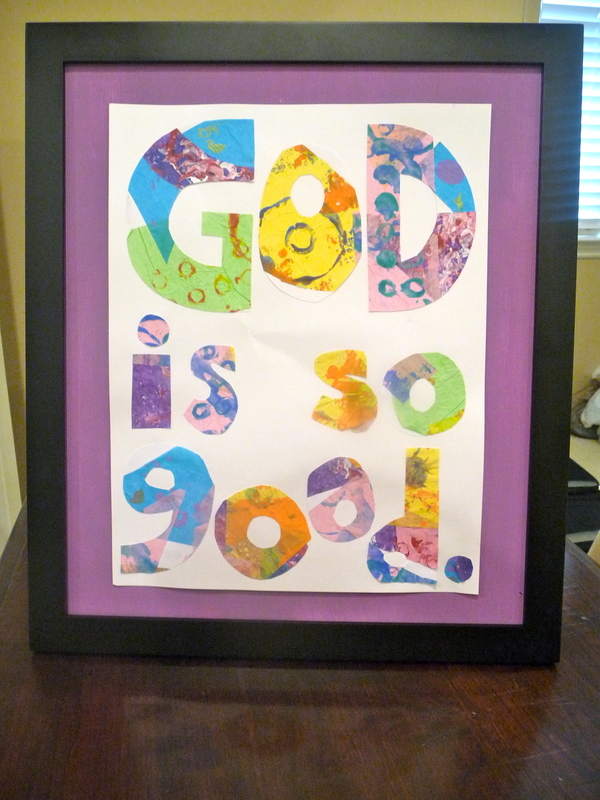 To make the Bible verse, we started by making Eric Carle prints, following directions from the imagination tree blog. I cut the words out of the finished prints. 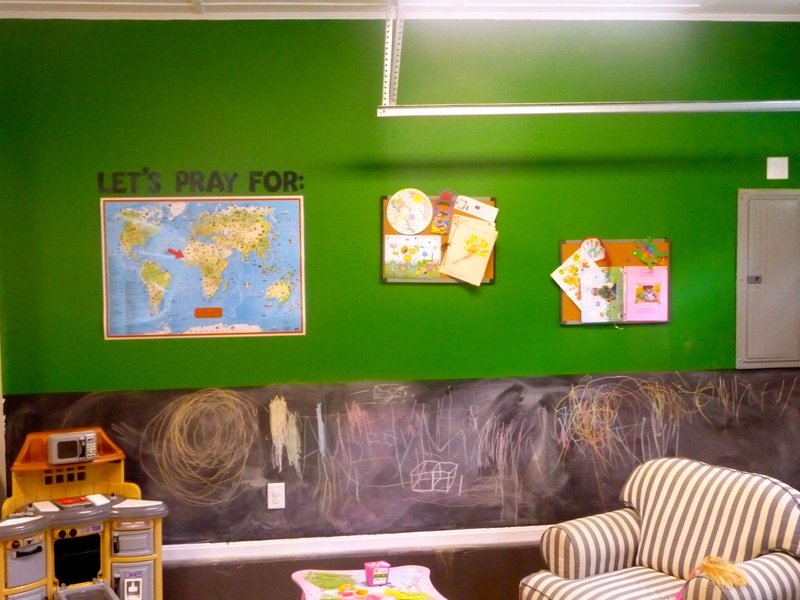 This is a picture of our garage-turned-playroom. It cost $9 to turn the entire lower portion of that wall into a chalkboard, and boy has it been worth it! When kids come over, everybody can find a spot and go to town. I’ve also seen people paint their kids’ closet doors with chalkboard paint, a really cute idea. Just remember, chalk dust runs rampant, so it’s best if the room is not carpeted. This entry was posted in Homemaking on May 1, 2013 by jeanneharrison. 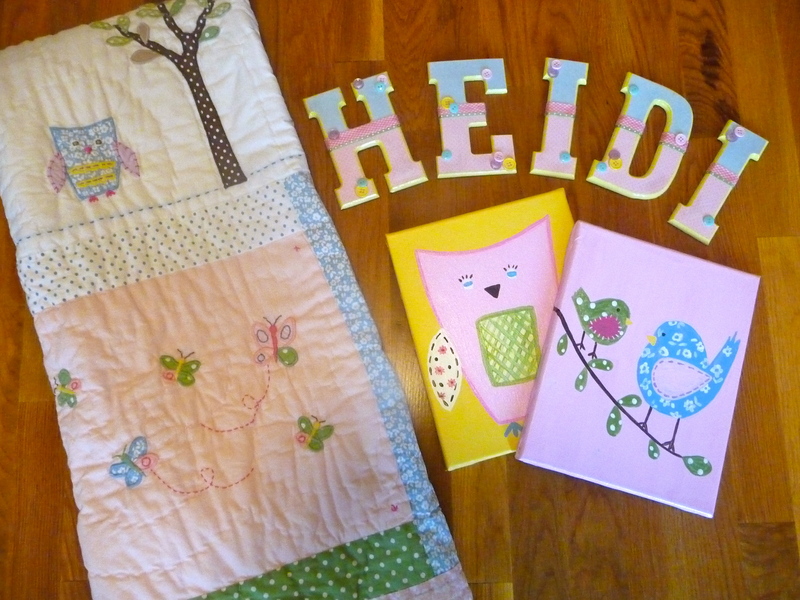 I am so impressed with the artwork you painted for heidi’s room. Very clever and attractive ideas. I know your girls love their rooms. I love your ideas presented here & I can attest what you did with the kids’rooms is just amazing!